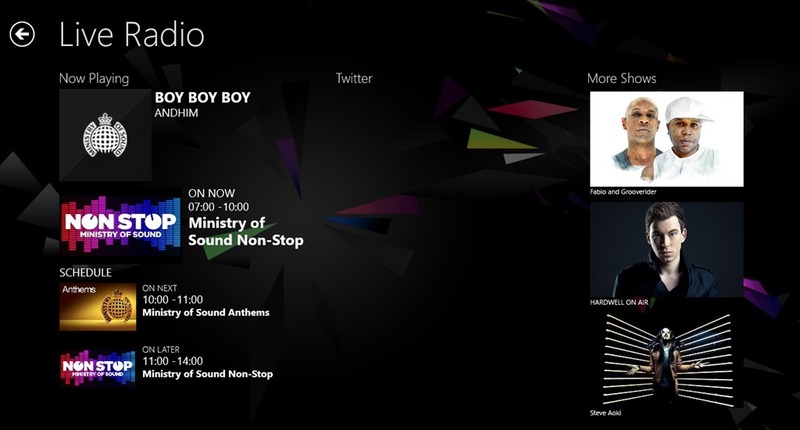 Ministry of Sound is a Windows 8 Radio app. You can use it to listen to dance music through live and On Demand Radio. You even have the ability to buy the music from Ministry of Sound. Before buying, you can listen to the music. Also get news about the latest happenings in the world famous London Club. You can book tickets for the latest events that shall be happening there. What’s more, there is a photo section present here, where you can see the photos and pictures from any events that happened there. You can share what you listen to, using the Windows 8 Share Charm. 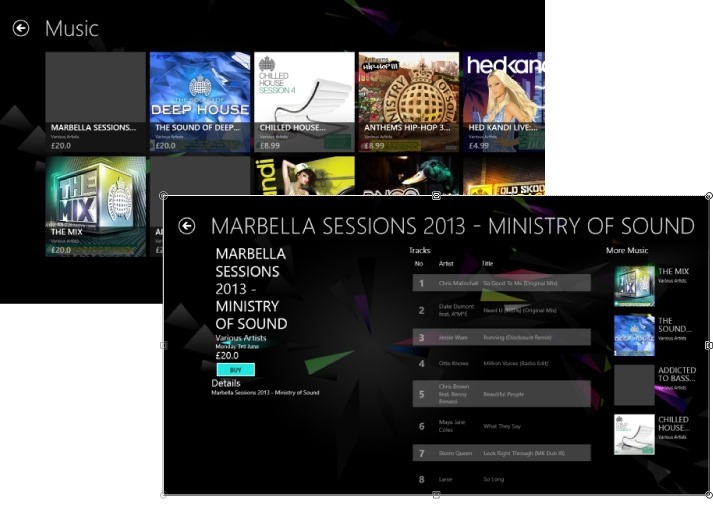 Ministry of Sound is freely available available in the Music & Video category of Windows Store. 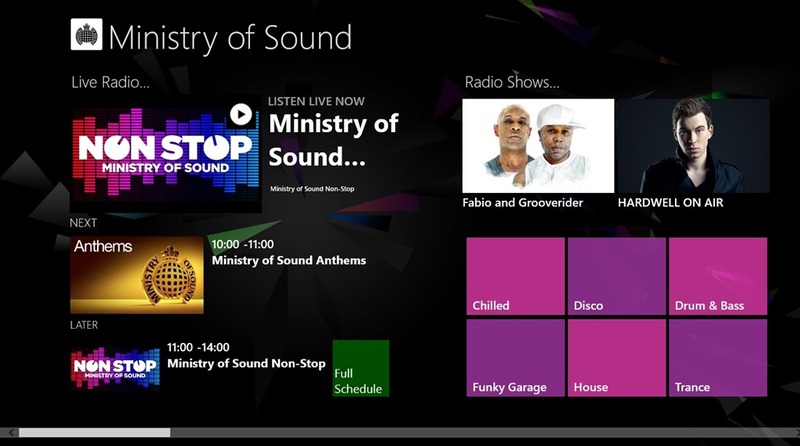 As you launch this Windows 8 Radio App, all the facilities you can use in this Radio app, will be available at the main screen as categories. Let me explain to you, some of the main facilities provided by Ministry of Sound. In this category of this free Windows 8 Radio App, you are given with the ability to listen to Online Radio. From the available genres, there are some like Bass, Dubstep, Drums, and many other kinds of Dance music genres. 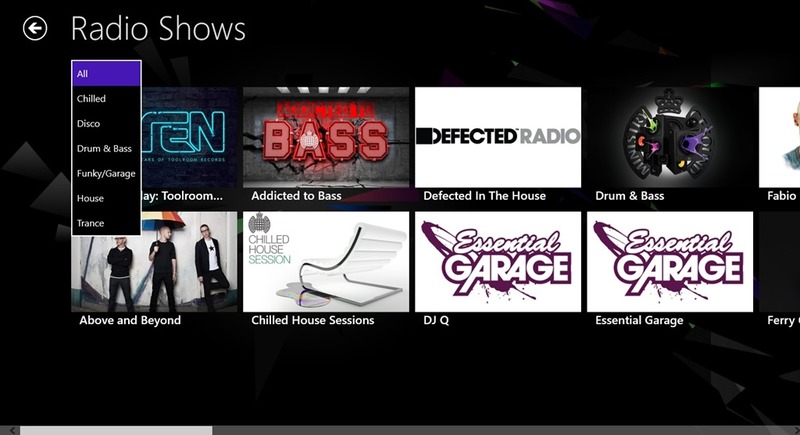 In this section of this Windows 8 Radio app, you can get the radio shows from the London Club. A number of genres are available here also. You can specify the Genre of radio shows in which you are interested to listen. Here, genres like Drum & Bass, House, Trance, and many others are available. 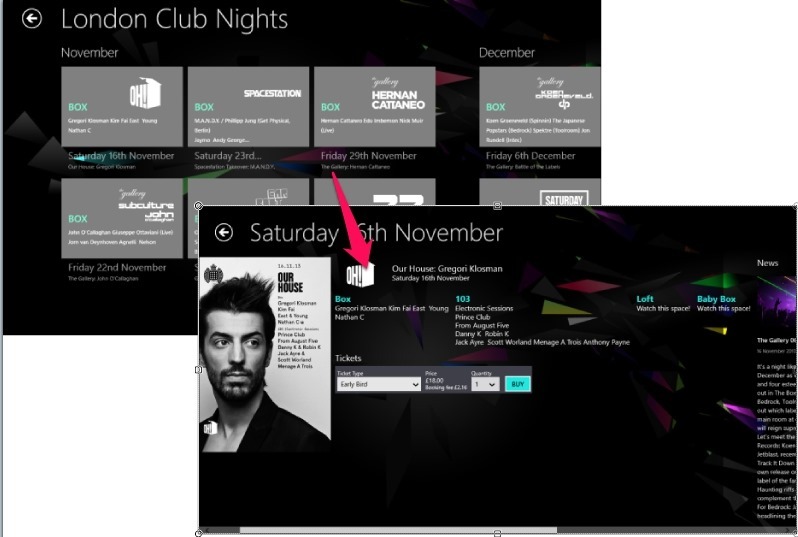 Using the Club option of this Windows 8 Radio App, you can view events from the London Club. The events here are arranged according to the months in which they fall. Here you can also book tickets for these events. The app will redirect you to the booking page in the Windows 8 IE app available on your start screen. In this option you can buy music available from London Club. Like these, there are other categories in this Windows 8 Radio App, like: the News and photos, from where you can get news and Photos from the various events of London Club. Also, there is a feature of sharing using the Windows 8 Share Charm. Using that, you can send the link for anything that you access using this Windows 8 Radio App. You can freely listen to Dance music here. This App is freely available. Music from London Club- one of the world’s most famous Club. The Interface of the app is quite nice, and working with the app is quite easy. There is also a function to share what you listen. According to me, this is a nice Windows 8 Radio App to listen to dance music. It provides music from some of the most famous genres like Trance, and House. You don’t need to surf the internet to look for dance music and thus can save a lot of your time. All in all, it is a good app and deserves a try for sure.